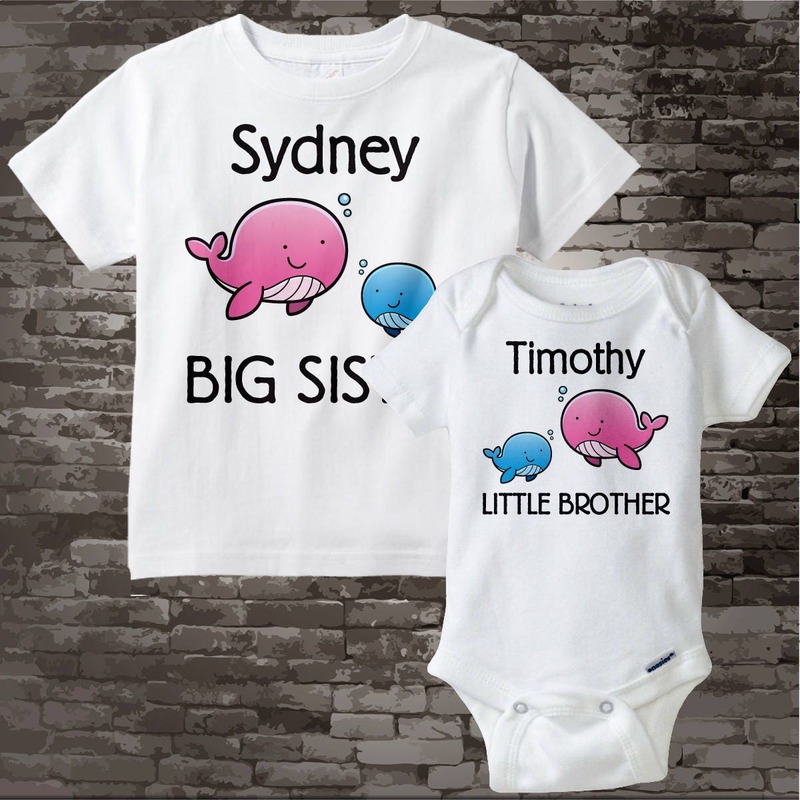 Whale Big Sister and Whale Little Brother Shirt or Gerber Onesie set of two. 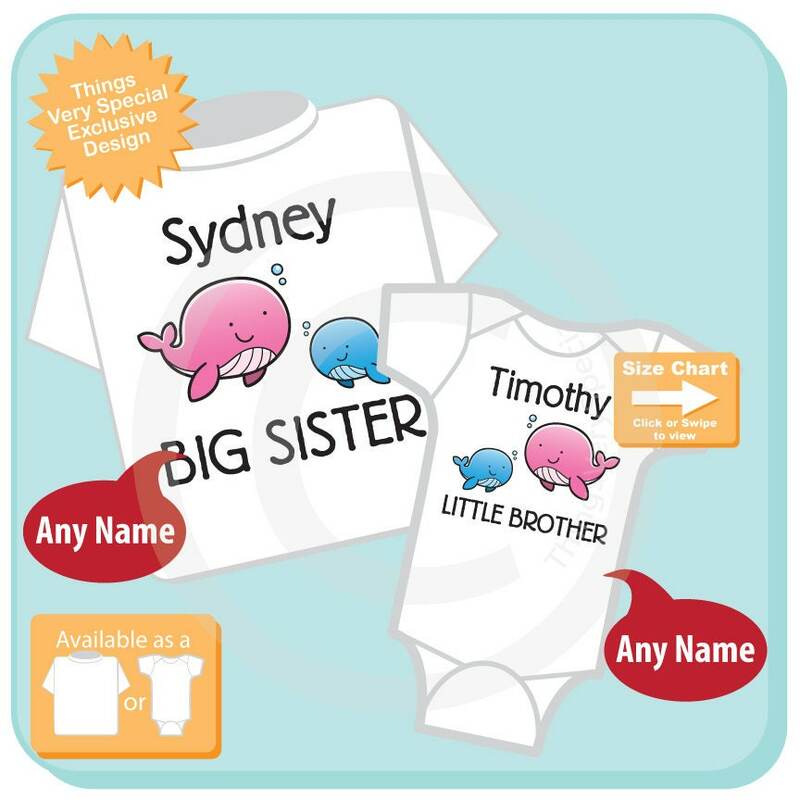 Super cute Personalized Big Sister tee shirt with awesome pink and blue whales and Little Brother with Blue and Pink whales shirt or Onesie. 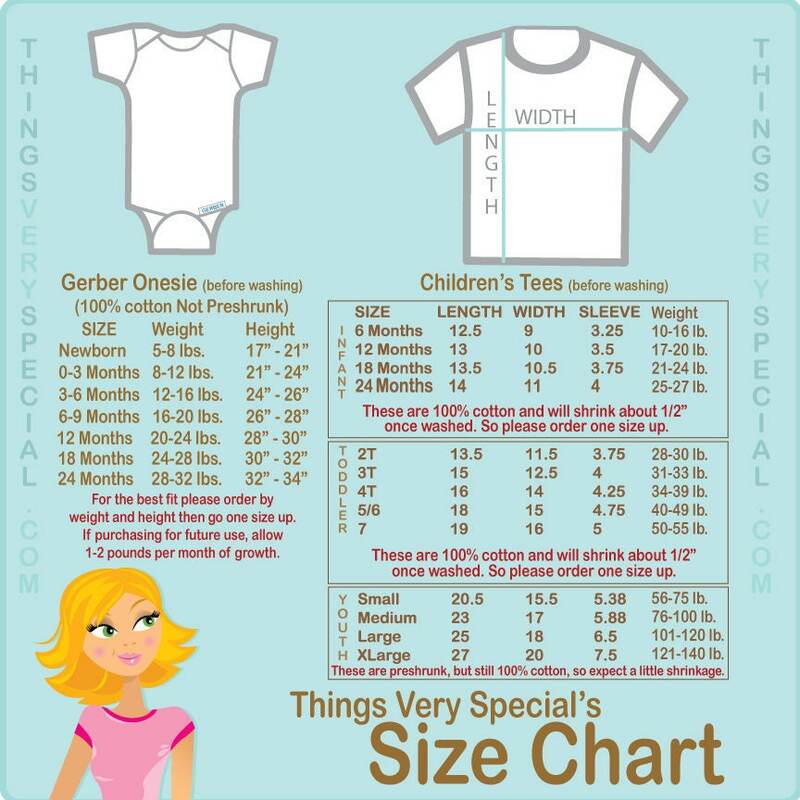 If no name is wanted please state no name.